MOSCOW, October 26. /TASS/. The leader of the unrecognized Kiev Patriarchate is not authorized to enforce the status of the Ukrainian Orthodox Church, Vladimir Legoida, spokesman for the Moscow Patriarchate, told TASS on Friday. Earlier, the head of the uncanonical Ukrainian Orthodox Church of the Kiev Patriarchate Filaret (Denisenko) had said that the congress, which is expected to convene to establish one local Orthodox Church in Ukraine, would have to rename the Ukrainian Orthodox Church of the Moscow Patriarchate as the Russian Orthodox Church in Ukraine. 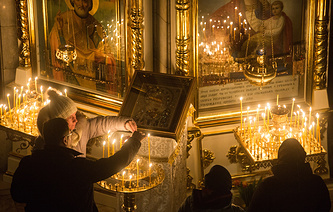 "The Ukrainian Orthodox Church is a self-ruled church, with the rights of broad autonomy. It is still the only canonical church in Ukraine. There are no grounds for altering its name and equally, nobody is authorized to impose a canonical status and structure on our church, to say nothing about Mikhail Antonovich Denisenko," Legoida said. 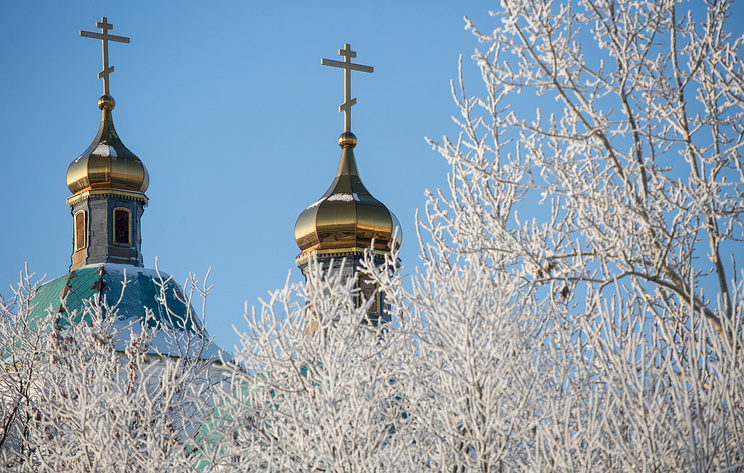 The Russian Orthodox Church cannot be identified with the territory of the Russian Federation. "The Russian Orthodox Church is not the church of the Russian Federation. It is present in many countries. Of those, 16 are a zone of our church’s pastoral responsibility, it is our canonical territory," he said. On October 11, a Synod meeting of the Ecumenical Patriarchate of Constantinople decided to "proceed with granting autocephaly (self-governance) to the Church of Ukraine." The Synod revoked a legally binding status of the 1686 letter, which empowered the Patriarch of Moscow to ordain the Metropolitan of Kiev. In addition, the Synod decided to re-establish the office of the Stavropegion of the Ecumenical Patriarch in Kiev, which means its head would be subordinate directly to the Ecumenical Patriarch of Constantinople. Moreover, the Synod lifted an anathema on the heads of two uncanonical churches in Ukraine - Filaret of the Kiev Patriarchate, and Makary of the Ukrainian Autocephalous Church. In response, the Holy Synod of the Russian Orthodox Church said on October 15 it had been left with no choice but to sever Eucharistic ties with the Ecumenical Patriarchate of Constantinople.